Facebook is trying to find new ways for advertisers to drive direct commerce from News Feed ads. The company today publicly announced a test of a product called Canvas, allowing users to click on a Facebook ad, then browse products. Facebook also touted its “buy” call-to-action button and explained the benefits of Facebook pages a sa mobile solution for businesses. 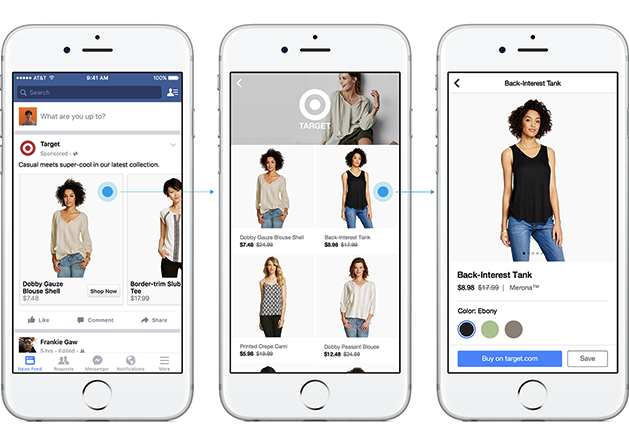 Facebook explained that in the next few weeks, a new e-commerce experience will debut: a Shopping section. Readers: What do you think of these tests?